Antique and collectable lovers throughout the Bay Area are welcome to come, browse and shop the 32nd Annual Petaluma Antique Faire this fall set in one delightful and relaxing setting in downtown Petaluma on Sunday, April 28, 2019 at 8 am. 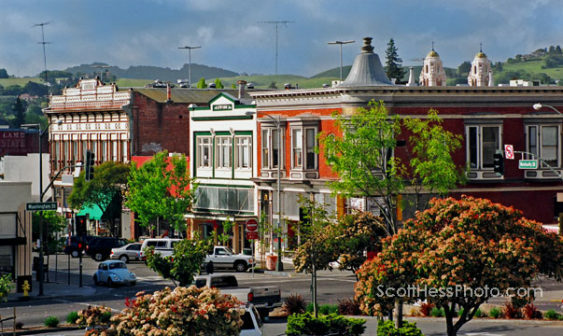 “The Bay Area’s Premier Antique Center”, Historic Downtown Petaluma will transform into an antique marketplace. Amid the beautiful historic buildings, one of a kind stores, an incredible array of restaurants and cafes, guests can find an incomparable selection of affordable antiques from over 200 dealers. The show has a nice variety of estate jewelry, linens, furniture, art, kitchenware, vintage décor, books and all kinds of unusual collectables to suit everyone’s budget. This show attracts over 8,000 discerning collectors as well as first time buyers wishing to collect and invest in real antiques. Don’t forget to partake in the Mason’s incredible breakfast in beautiful dining room of the Masons building during the morning of the show for just $8, a rare and special treat. Admission is free.